When the cost of stamps rose this year to a dollar for local letters, I died a little inside. Seriously, Canada Post? From 65 cents to a dollar? Memories of high-school history lessons about wartime bread costs rising to crazy prices in Russia because the ruble had lost all value came to mind. OK, so maybe we aren’t THAT far gone but upping the price of stamps more than 30% in one shot was hard to swallow especially for those with debt problems. Inflation. It happens. No more are the days of penny candy or riding the bus for a quarter. Inflation is a funny thing. It creeps up on us slowly over time. According to the Bank of Canada’s website a basket of goods that cost $100 in 1915 would cost $1,732.79 in 2005 and $2,055.71 in 2015. That’s more than 20 times higher in a century. Clearly, we can see long-term trends over time but what about dealing with inflation from year to year? While the recent drop in gasoline prices helped to slow the inflation rate towards the end of 2014, inflation rates do fluctuate from month to month. True, farmers and suppliers have increased production and transportation costs over time to tend with but that doesn’t make paying fifty cents more for milk or potatoes any easier for consumers dealing with debt problems. Let’s consider a few ways to help beat the sting of inflation. To help offset any rising costs in food, shelter, furniture, clothing, transportation and recreation, consumers can have comfort that wages should rise right along with it. If you haven’t received a wage increase in a few years you may want to consider setting up a meeting with human resources at work to inquire about the possibility of a pay bump. And similarly, some good news for Ontarians! Minimum wage has just been upped to $11.25. A $0.25 raise which may not seem like much but can hopefully help to compensate for some of the rising costs in food, housing and other daily expenses contributing to debt problems. Something that renters should be aware of, is that while landlords can (and most likely will) raise your rent annually based on the Landlord and Tenant Board’s regulations (again based on inflation rates), if you happen to have pre-paid for last month’s rent then you are entitled to interest on that deposit. Click here for Toronto’s rent increase guidelines to make sure that any raises fall within the limits and to what percentage interest can be returned to you for your deposit (it’s the same percentage as the rent increase). While we can’t control the costs of goods and services going up due to inflation, we can be proactive about taking it into account in our monthly budgets. 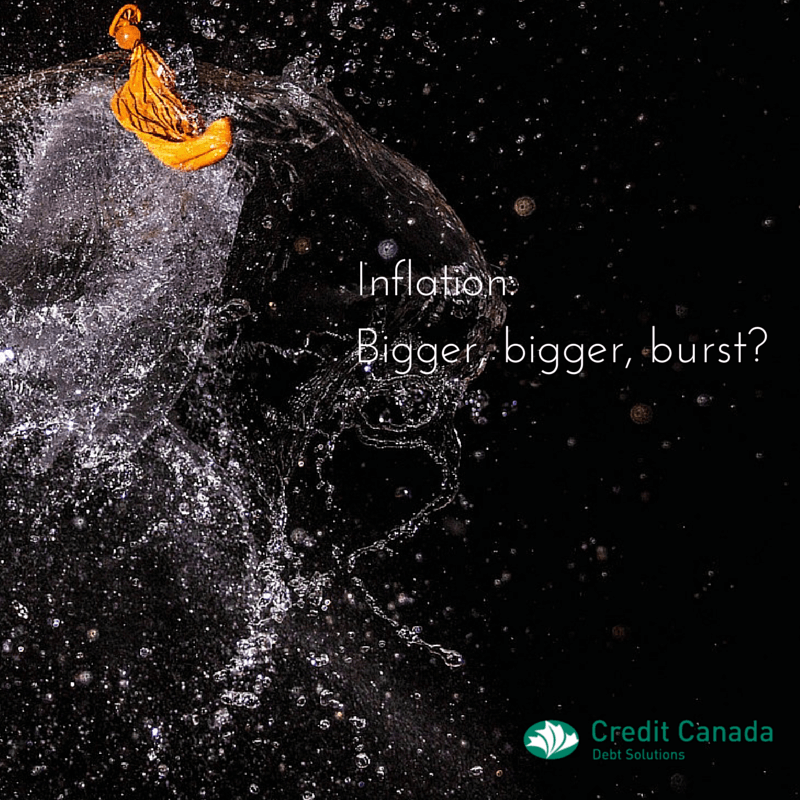 Inflation rates may seem subtle from year to year, but it is still worthwhile looking over your monthly budget regularly to see how much is really being spent at the supermarket, for rent, transportation etc. ; some tweaking may be in order to prevent inflation from straining your wallet or adding to problems with debt. Heck, if Canada Post wants to raise their prices then my budget is ready for it!